A man shot and killed three Muslims in Chapel Hill, North Carolina late Tuesday in what police called an ongoing dispute over parking. The victims were recently married Deah Barakat, 23, and Yusor Mohammad, 21, and Mohammad’s sister Razan Mohammad Abu-Salha, 19. Barakat was a second-year dental student at the University of North Carolina. Mohammad was planning to start dentistry school there the next school year. 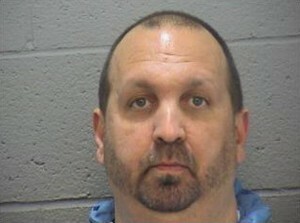 And Abu-Salha was a sophomore at North Carolina State University. The alleged shooter, Craig Stephen Hicks, 46, was charged with three counts of murder after he turned himself in to a local Sheriff’s Office. Hicks is currently being held in a Durham County jail. After an initial investigation, the Chapel Hill Police department announced that the shootings occurred over a parking dispute at the apartment complex where the victims were living. Because the three victims were Muslim, some on social media called it an act of Islamophobia. Using the hashtag #Muslimlivesmatter, people on Twitter mourned the victims and condemned the lack of media coverage of the incident. The Council on American-Islamic Relations called on law enforcement to address speculation that the motivation for the killings was an anti-Muslim bias. “We understand the concerns about the possibility that this was hate-motivated and we will exhaust every lead to determine if that is the case,” said Chapel Hill Police Chief Chris Blue in a statement.